It’s been almost 36 years now since I had my first video gaming experience. That day in 1981 where I sunk a shiny quarter into the colorful Pac-Man was the day I knew my first great love in life. I often say that day kicked off a passion for video games that has never wavered, with something in each and every generation that has given me that same wide-eyed excitement as that first game of Pac-Man did. But that’s not quite truthful. There was one period of time where my love of gaming was put to the test. A short window in which I almost became cynical about the future of the industry. That time period was the early-to-mid 1990s. After the home console and arcade crashes of the mid 1980s, it was quite a joy to see video gaming roar back in the latter half of that decade. The Nintendo Entertainment System redefined what it was to play video games on a home console while the arcades became more and more colorful and introduced a wide array of new play concepts. But with that came a hungry technology industry, one that no longer thought of video gaming as a passing fad like they had in the early 80s. In came the 16-bit era, and with it a huge brand war between Nintendo and SEGA. Lost to that, however, is the fact that everyone else tried to jump into the pool at the same time. 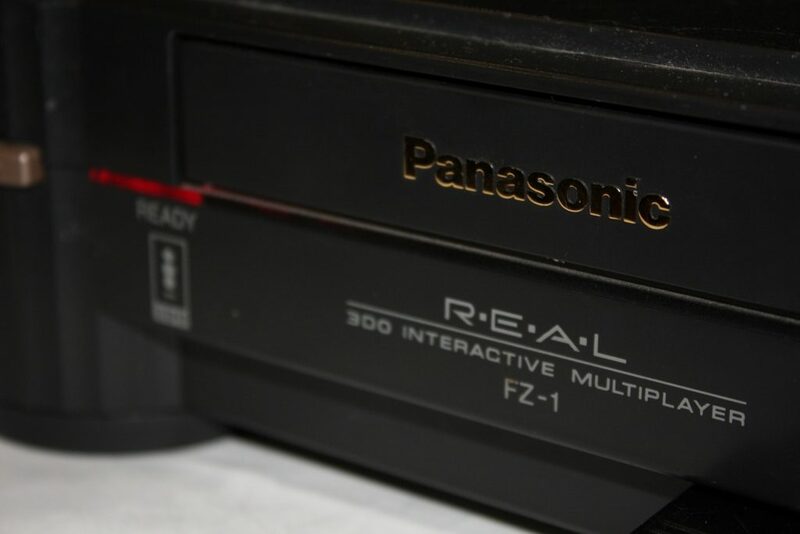 We had super expensive “multi-media” consoles like the 3DO and Philips CDi coming in. We had the wildly expensive cartridge-based Neo Geo console, complete with carts that cost as much or more than other console did. We had people telling us that virtual reality was the future, with arcades and electronics stores installing the Virtuality units that left us unimpressed. Even the established video game companies got in on it, pushing a wild number of product lines at the same time. Nintendo, SEGA, Atari and NEC all had multiple products ranging from bad VR to CD-Rom based systems to add-ons that had no support and a myriad of handhelds that left us wondering why. Long story short, this time period seemed to focus too much on technology and not enough on games. All I wanted out of the industry – all my friends wanted out of the industry – were games. The magazine pages once filled with previews of new games began to focus more and more on hardware. Nobody could agree on which types of that hardware would be best for playing games, either. In hindsight, there were plenty of great games that came out during that time, but living through it in real-time, they were often lost to the hype about the newest piece of powerful “this is our future” hardware that was either unaffordable, too new to have many games developed just yet or both. At the same time, my attempted escape to the arcade saw most of them filled with less variety than ever, at least at the height of fighting game era. I still remember when my local Tilt, a mainstay for me for years, had a period where 28 of their 32 video games were fighters. Eventually, the industry was snapped out of this mindset by multiple hardware failures and some incredible game-centric stuff. 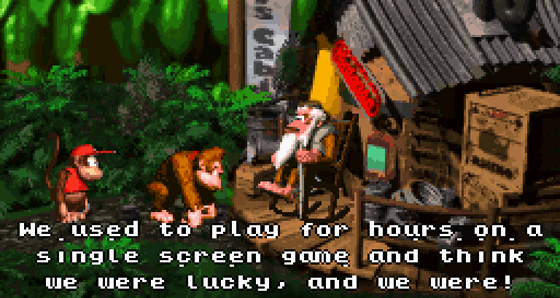 Suffice it to say that Donkey Kong Country and the Sony PlayStation snapped me out of my near-cynicism of the industry. The super advanced “multi-media” consoles faded from memory, the VR experiment came to a halt, and attempts at reinventing the wheel as quickly as possible snapped back to a streak of fresh concepts and game franchises that came at us left and right. I had thought that the industry had learned its lesson, and continued to feel that way as I enjoyed my Xbox, Xbox 360 and Nintendo Wii in the many years that followed. The direction of the industry was mostly clear and steady, and the advancements we did see only added to the game playing experience. I don’t know that I can say that now. The whole reason for this long-winded backstory that makes me feel like Kup from Transformers: The Movie, is that I feel like history is repeating right now. While there are many excellent games on the market, the talk all seems to be about hardware and tech and what the alleged future of the gaming industry will look like, all with conflicting opinions to boot. Virtual reality is back, with some people swearing it as the future of gaming now with the same conviction they did in the 90s. Nintendo has already ditched their console for this generation in favor of a new one that doesn’t even fit into a previously existing category. 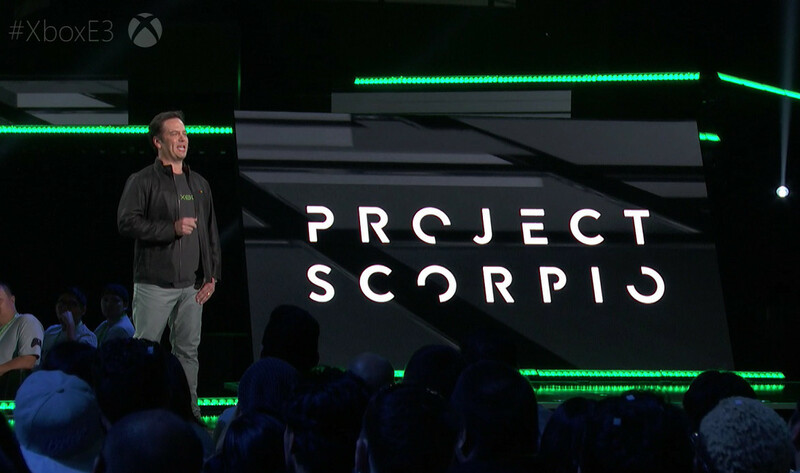 Microsoft and Sony have both already released “more advanced” versions of the consoles they just convinced a bunch of people to buy, and comparing the rather minute differences between the two has become a bigger focus than the games that are played on them. People no longer use consoles just to play video games, and the debate between physical media and digital downloads somewhat echoes the 90s debate of CD-ROM versus cartridges. E3 is my favorite time of the year, and yet E3 2016 only went further into fueling my potential cynicism. VR was everywhere, and speculation on hardware took up more time than looking at exciting new games. Even Nintendo’s focus on nothing more than the Legend of Zelda: Breath of the Wild was overshadowed by rumors of a new console they decided not to show and speculation as to the future of the 3DS, which had no presence at all. With E3 2017 just around the corner, I fear more of the same. More discussion about new hardware that will already be outdated in a year than a focus on the games for them. I really hope I’m wrong about this and that I’ll walk in there only to be wowed by some fresh video game concept that will remind me why pre-order programs exist in the first place. I really hope that I can walk in there and not come out with the same unimpressed vibe I felt last year. I hope I can see an industry that is once again focused on providing wonderful and groundbreaking game play experiences, rather than continuing to hype the boxes that are supposed to run those experiences. Most of all, I’m hoping for those things because I was delivered from this potential cynicism in the 1990s. It came out of the blue back then when I discovered that I could play games with advanced graphics and sounds on the console I’d already purchased, followed by the discovery that there was a new console on the market that was focused more on gameplay than polygons. If anything else, it’s a case of clarity as to where we need to put our hard earned money. There is a clarity and confidence in knowing that you have invested in a video game console that you know is going to give you joy for years to come. There’s a warm, fuzzy feeling in seeing a video game library grow and grow on hardware you know will be the focus for quite a while yet, rather than this look-over-your-shoulder feeling the marketplace has created for itself now. I look at our entertainment center and see the Xbox One we purchased at launch and the Nintendo Wii U we got the next year and I wince. Neither of them has been there nearly long enough for them to be dinosaurs, so why should I trust any of the hot new hardware enough to plunk down my money now? I need E3 2017 to deliver a savior, or at least a hint that one is on the way. I need Nintendo to convince me that the Switch is going to be around for a while, and bring to us an army of instant classics like the company used to. Sony and Microsoft need to show me something jaw dropping for me to trust them enough to buy their shiny new hardware. The various studios on the floor need to show me something that doesn’t remind me of three dozen other games I already own, and those peddling VR to me are going to have to give me something that is not only affordable and accessible, but that proves to me that the developers were less focused on visuals and more on a silly thing called gameplay. I really hope this happens. For almost 36 years now, I have been one of the loudest advocates for the video game industry, save for that one confusing period in the 90s. I hate that I have been starting to feel like that again, but there it is. Just give me something fun to play, folks. Show me some focus.